Patients who use the blood thinner Xarelto may be at risk for gastrointestinal bleeding for which there is no approved reversal agent. 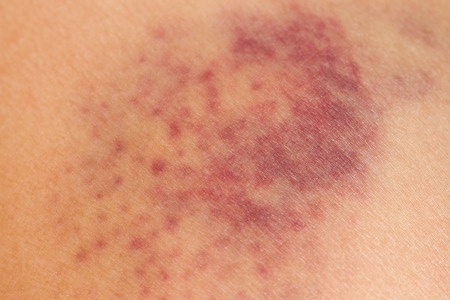 A growing number of Xarelto lawsuits accuse the drug’s manufacturers of failing to provide patients and doctors with appropriate warnings regarding this and other forms of internal bleeding associated with use of the drug. The nationwide law firm of Bernstein Liebhard LLP is already representing plaintiffs who claim to have been harmed by Xarelto. To learn more about the legal options available to alleged victims of Xarelto gastrointestinal bleeding, please contact our Firm at (888) 994-5118. Like any blood thinner, Xarelto can sometimes cause serious internal bleeding. However, there currently exists no approved antidote to reverse Xarelto’s anticoagulant effect should internal hemorrhaging occur. As such, a seemingly-minor trauma can become a life-threatening medical emergency for a Xarelto patient. 2011: The ROCKET AF clinical trial found that gastrointestinal bleeding occurred in 3.1% of Xarelto patients, vs. 2% of warfarin patients. The ROCKET AF clinical trial played an important role in Xarelto’s regulatory approval, both in the U.S. and abroad. The defective drug attorneys at Bernstein Liebhard LLP are providing free, no-obligation legal reviews to alleged victims of Xarelto-related gastrointestinal bleeding. To obtain your case review, please call (888) 994-5118.